This has been a long and difficult week at the Statehouse. However we're glad to report that H.B. 228, a bill we've been working on for 2 years, is finally headed to Governor Kasich's desk. The measure then passed the Senate by a 19-10 margin, and the House concurred in a 59-21 vote. The Governor has vowed to veto the Act. If he follows through, both the House and Senate will be asked to override, after which it would become law after 90 days. We want to thank President Obhof, Chairman Coley, Vice Chairman Uecker and many other for the enormous amount of time and effort they put into keeping this bill moving against an avalanche of opposition. Opponents pulled out all the stops to kill this bill, resulting in a marathon Senate hearing on Tuesday, December 4, 2018, featuring Bloomberg-funded Moms Demand Action and Everytown for Gun Safety. Other opponents included the Ohio Fraternal Order of Police, The Ohio Association of Chiefs of Police, Ohio State Highway Patrol, Ohio Prosecuting Attorneys Association, CAIR-Columbus, Ohio Conference of NAACP, Ohio Coalition Against Gun Violence, Columbus City Attorney’s Office, Amnesty International USA, Cleveland City Council, League of Women Voters of Ohio, Corporation for Supportive Housing, ACLU of Ohio, National Council of Jewish Women, Catholic Conference of Ohio, Ohio Municipal League, and many more. 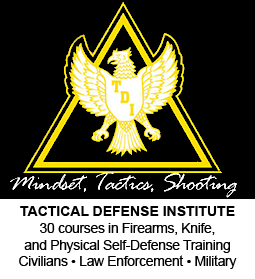 In all, more than 40 opponents railed against the bill over the course of nearly 5 hours, dragging out the December 5 hearing late into the evening, ending at 11:40 p.m.
One of the reasons this bill took so long to move and generated so much opposition, was its removal of the "duty to retreat" provision for self defense situations outside your home or car. While we did everything we could to preserve this change, it was deleted from the bill in the Senate Committee, along with provisions related to tenant leasing and penalty reductions in order to pick up votes to get it passed in the full Senate with enough votes to prepare for a veto override. Shifting the burden of proof in cases of self-defense so that citizens are innocent until proven guilty beyond a reasonable doubt and guaranteeing that their 5th amendment rights are preserved. This alone was a massive win for gun owners, and brings Ohio into alignment with all 49 other states. If the bill had nothing but this one change, it would have been worth the 2 years of work put into it. Strengthening preemption to make sure Ohio maintains one set of clear gun laws, instead of a confusing patchwork of laws from city to city. Another big win. 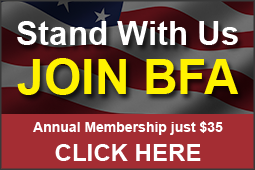 In the last couple of years, preemption has been under attack by cities all over Ohio and BFA has been working to push back against city councils around the state, even partnering with Ohioans for Concealed Carry to file lawsuits against Columbus and Cincinnati because of their violation of this key legal bulwark. 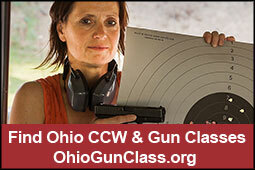 Defining a "shotgun" so that Ohio law aligns with federal law, to end the confusion over which guns are legal or illegal. One example is the Mossberg Shockwave, which is legal on the federal level but currently illegal in Ohio because of outdated definitions. Some gun stores sell them, others do not. And owners find themselves in a precarious and unfair situation. Prosecuting straw purchases so that we are able to focus law enforcement on the real criminals. Law-abiding gun owners are constantly accused of working against law enforcement, when the exact opposite is true. 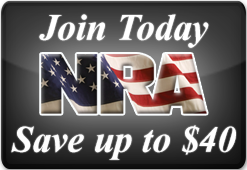 We believe ordinary gun owners are the good guys and that criminals who break the rules give the rest of us a black eye. By giving state authorities the tools to prosecute blatantly illegal activity and put bad guys in prison, we can give gun control advocates one less reason to propose further unnecessary and ineffective restrictions. It was sad that the spokespeople for most law enforcement used their testimony this week to attack your rights rather than join us to work against criminals. But it shows why the rank and file overwhelming respect you and tell us the comments you read in the media on this bill DO NOT reflect their view. We also want to note that Buckeye State Sheriff's Association and your county sheriffs refused to join the nonsense. We are glad they are the supreme law enforcement agency in the state. Eliminating the requirement for buildings to post "no guns" signs when guns have been specifically approved. This has been one of the most frustrating parts of the law since passage of S.B. 199, which expanded places where license holders can carry concealed. In some cases, locations that approve carry are still forced to post no-gun signs! This is a big change for many locations, including government buildings and schools. Recognizing the Concealed Handgun License as sufficient documentation during a law enforcement stop so that additional forms of I.D. are not required when legally carrying. A small but important change for those who don't carry their driver's license with them as a passenger in a vehicle or while they are outside of their car. It's just one less law to trip up law-abiding citizens. For critics of this bill who maintain we should have walked away the moment the duty to retreat element was removed, we respectfully disagree. We realize that this bill is not perfect. No bill ever is. Just consider how flawed the original concealed carry bill was when passed back in 2004. Should we have walked away because it was horribly flawed? We might still be a no-concealed carry state had we done that. Instead, we passed the best bill possible at the time, then began working tirelessly to improve the law. Despite its shortcomings, H.B. 228 is an excellent bill. In time, it will be viewed as one of the most significant bills ever passed to restore your rights. As for duty to retreat, we have NOT given up and we never will. A majority of legislators join us in that resolve. The question recurred, "Shall the bill, Am. Sub. H. B. No. 228, pass?" Those who voted in the affirmative were: Senators Bacon, Beagle, Burke, Coley, Dolan, Gardner, Hackett, Hoagland, Hottinger, Huffman, Jordan, Manning, McColley, Oelslager, Peterson, Terhar, Uecker, Wilson, Obhof. Those who voted in the negative were: Senators Eklund, Kunze, Lehner, Schiavoni, Skindell, Sykes, Tavares, Thomas, Williams, Yuko.